Nearly six miles of Galloway Creek Greenway wind north-south through the east side of Springfield, Missouri. 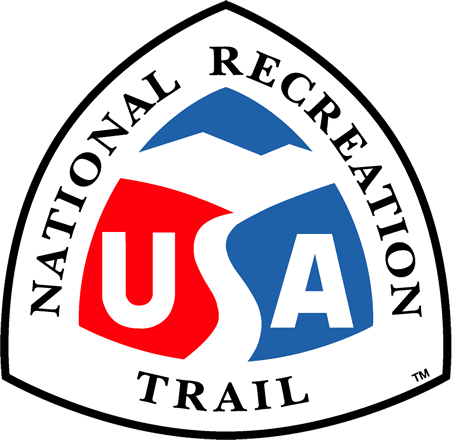 The first urban trail to be designated a National Recreation Trail, this greenway has become a backbone for recreation and bicycle transportation in the community. Connecting two schools, a historic park and cave, an award-winning nature center, many neighborhoods, several churches and some great restaurants including the popular local favorite, Galloway Station Bar & Grill. In the southeast corner of Springfield, the trailhead at mile marker 1 is located on Seminole St., just east of Lone Pine Ave. Other trailhead access points along the route include Sequiota Park, Galloway Station and the pet cemetery, all on Lone Pine Ave. The trail is 5.5 miles long and winds through southeast Springfield, providing free, safe opportunities close to home for walking, running, bicycling, skating and handicap access. The trail connects historic Sequiota Park and Galloway Village, two schools, several churches and numerous neighborhoods. It connects to the popular Springfield Conservation Nature Center trails and Springfield Lake. Pedestrian underpasses along the trail allow trail users to safely travel under two major highways and one major city thoroughfare. This trail has changed the Springfield community. It is shedding a new light on health issues related to the typically sedentary Midwestern lifestyle. People who have never been active in their lives are getting out onto the trail. The success of this trail has initiated a huge increase in public demand for further greenway development throughout the Springfield community. Innovative trail design and construction - Two types of recycled features have been used on Galloway Creek Greenway. The surface is constructed of Glassphalt, a material made with crushed recycled glass mixed with asphalt. Four footbridges are made of Rumber decking, made from recycled tires. The trail also passes one of the city's recycling collection centers, further promoting the importance of recycling and the use of recycled products. The Galloway Creek Greenway connects to the new James River Greenway on the west side of the old James River Bridge. It also connects directly to the city's bike route network. The Nature Center draws thousands of visitors to its uniquely wild acreage in the middle of a very urban area. The developing James River Greenway will follow the edge of this river that runs through Springfield. The bike route network identifies the best streets to use for bicycle commuting. The public agencies directly involved with the development of the Galloway Creek Greenway include the Springfield-Greene County Park Board, City Utilities of Springfield, Greene County Planning Department, Springfield Public Works and Missouri Department of Transportation. Ozark Greenways' mission is widely appealing and crosses all age, income and race barriers. Private contributions come from a dedicated membership and volunteer base, grants from foundations, donations from local businesses, civic clubs, schools, universities, churches and cooperating organizations. Easements for the trail right-of-way were donated by eleven different entities including the owners of a restaurant, an Episcopal church, a pet cemetery and a shopping center.